The former Governor had recently endorsed his son-in law, Abba Kabir Yusuf as his choice for the 2019 governorship seat, an action that irked some of his followers. 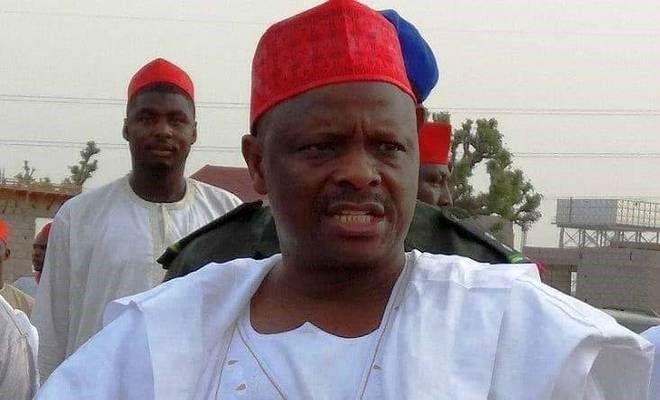 Sen Rabiu Kwankwaso is not in good terms with incumbent governor of Kano State, Abdullahi Umar Ganduje, and his presence in the state always leads to clashing among supporters. So Kwankwaso thought it wise to sneak into the ancient city of Kano, and addressed his supporters at his Milla Road residence. However, Kwankwaso appealed to his followers to remain calm. He explained that his choice of Abba Kabir Yusuf was necessary because most of his projects including the famous Kano Kofar Nassarawa flyover were designed and executed by Yusuf. “Today most of the projects being executed by Ganduje are not durable and of low standard while huge amount of money was being spent on them. “But our projects which mostly were designed and executed by Abba Kabir Yusuf are today standing firm in Kano,” he said. Kwankwaso, who spent only one hour in Kano, told his supporters who thronged his house that he was willing to sit with them and iron things out. “If not for the fact that I’m busy and rushing to go back to Abuja for the Presidential screening going on right now, I would have loved to sit and discuss vital issues with you”, he said. He promised to return in the next few weeks to resolve some of the issues on the forthcoming elections in 2019. Even though many of his supporters were not aware of his arrival in Kano, his house was filled to capacity.